A new Microsoft operating systems is in the pipeline, but will the new Microsoft remain committed to heterogeneous computing? A new Microsoft operating system is in the pipeline, but will the new Microsoft remain committed to heterogeneous computing? In the mid-1990s Microsoft ran an advertising campaign with the slogan “Where do you want to go today?” Now, though, with a new version of Windows on the cards, and a new CEO who speaks of the era of cloud computing and heterogeneity, the company can no longer claim to own the desktop. What, then, are the prospects for the next Windows OS? Microsoft is rumoured to be pushing its operating system focus to the next major release of Windows, codenamed Threshold. This product will put new CEO, Satya Nadella, under the spotlight. With PC sales continuing to decline, and Microsoft’s hold on the desktop being eroded by the success of iOS and Android, the company has to rethink what desktop Windows means. As Computer Weekly has previously reported, although Wndows 8 ships on new PCs, it has largely been a failure in the enterprise. When XP support ran out earlier this year, many companies chose to deploy Windows 7 rather than its newer sibling. 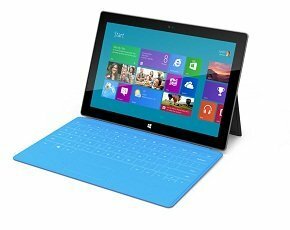 Microsoft attempted to make Windows 8 more laptop and desktop-friendly with the introduction of a Start button, but this failed to generate much interest, since the button merely brought users back to the touch-optimised interface. Businesses have said they prefer the look and feel of Windows 7 on laptop devices, but Microsoft has not yet released a proper Start menu. It is expected to appear in Update 2 of Windows 8.1 later this year. According to some reports, though, Microsoft has effectively given up on Windows 8, and will release Threshold as a completely new Windows 9 OS. The new OS is expected to have different personalities depending on the device it is installed on. So a desktop PC will have the classic Windows 7 Start menu, while tablet and convertible devices will have the touch-optimised user interface. Nadella will need to balance the needs of the enterprise user and the consumer. His commitment to SQL Server, heterogeneous computing and cloud-first shows that Microsoft is turning over a new leaf. The company faces new challenges. Businesses will no longer buy Microsoft by default. Google has been steadily developing cloud-based enterprise products, and browser-based SaaS products like Salesforce make the choice of OS irrelevant. It remains to be seen if he can keep to this commitment. With a new operating system in the pipeline, Microsoft clearly needs to redefine the unique selling point of Windows. The end of XP support may have given PC sales a boost but the PC industry is suffering long-term decline. Low-cost Android devices are seeing the biggest growth – an indication that, for many people, a basic internet access device is good enough. And as Gartner research director Richard Gordon pointed out, companies are increasingly turning to cloud-based applications instead of traditional enterprise software. There is no reason why cloud software should not run on low-cost Android devices with internet access. It is against this backdrop that Nadella and Microsoft must position the new Windows. In the past, Microsoft would have won the hearts and minds of enterprise IT by maintaining application compatibility. But that era of computing is coming to an end. XP survived so long due to application compatibility issues. Now that XP is dead, corporate IT no longer needs to support legacy versions of the Internet Explorer browser and XP applications. If companies like online recruitment firm Reed.co.uk can run their business on Chrome, what is stopping other businesses from moving? Gartner's latest spending forecast reported that as tablet penetration nears 50% in US households, so sales of high-end tablets will decrease. The next wave of adopters will be more attracted to cheaper utility tablets. Microsoft's previous effort to develop Windows RT for the low-cost market has more or less been canned. In fact the newest Surface tablet device is currently only available with the full Windows. So there is some question about how RT will fit in with the next Windows release. If the Threshold OS does indeed become Windows 9, it is unlikely that businesses will upgrade wholesale. Desktop virtualisation, desktop as a service and tablets have redefined end-user computing. IT departments that have skipped Windows 8, waiting for the next release, also have a far greater choice.